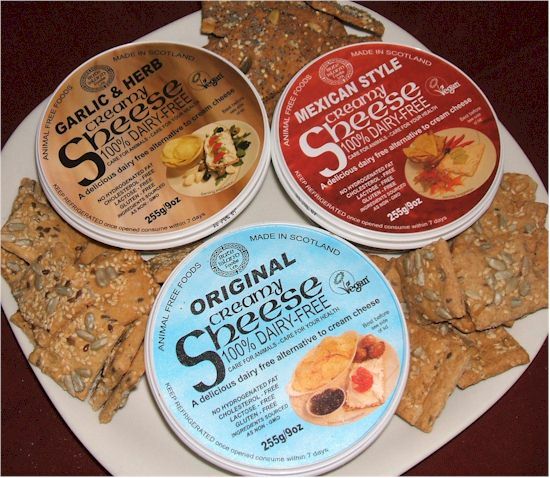 We recently had the good fortune to trial the many flavors of Sheese dairy free cheese alternative. These wonderful wedges of vegan “cheese” are being welcomed onto the market with great enthusiasm. And, as it happens, there is also a spreadable line, too. There are six varieties and I had the opportunity to taste two, the Original and Garlic & Herb. Plus, Hannah additionally taste-tested the Chives and Cheddar-Style flavors. 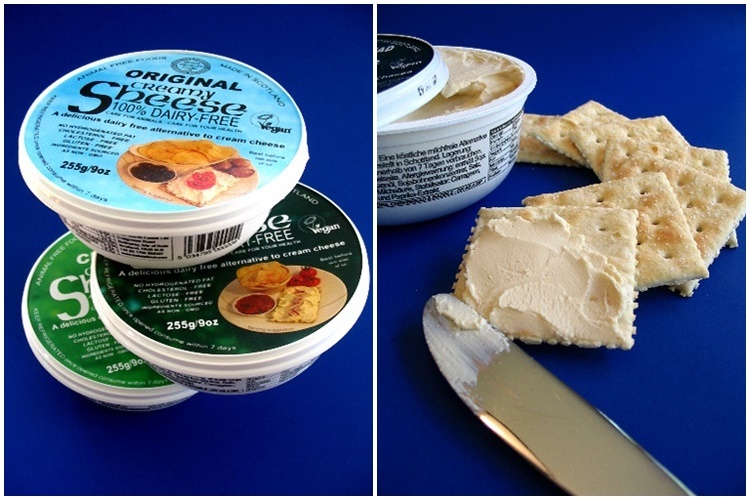 Packaged in a really cool tub, the Original truly looked like cream cheese. The color was a fair and attractive white, and the image was one of a thick and creamy spread. At first, I was concerned when my knife met with some resistance, but the density quickly gave way to spread with ease atop my crackers. As for the taste, the Original Creamy Sheese was very cream cheese like. It somehow leaned a bit toward a more cheesy spread though. However, it has been many years since my taste buds have come in contact with real cream cheese. With this in mind, I grabbed a tub of Tofutti that I had on hand for a little comparison. The two were similar, yet distinctly different. The Tofutti was just a bit sweeter and did seem to lean more toward authentic cream cheese. However, the Creamy Sheese fit the “cheese” bill just a bit better, making it a product I might draw upon as a general spread. I do think Tofutti vs Sheese would really come down to a matter of personal taste. I could easily see room on the market for these slightly divergent products. Back to the general testing of its cream cheesability, I decided to use this Creamy Sheese to make a cream cheese frosting for some spice cupcakes. It was delicious, and realistically, I couldn’t detect a difference between this frosting, and the prior Tofutti based one I had made. As I popped open the package of Garlic & Herb I was met with a rather unappetizing cement-like color. While I applaud the Sheese people for not relying upon artificial colors and enhancers for visual appeal, I could see this less than attractive color being a problem for the American palate. 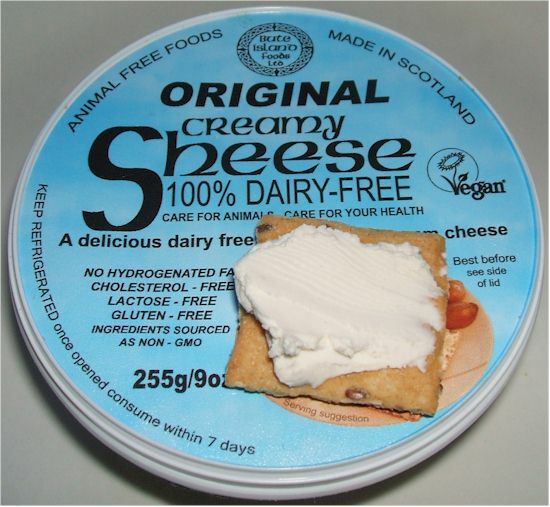 Of course, as someone who certainly doesn’t discriminate when it comes to the look of my food, I generously slathered some of the Sheese spread atop my crackers for an afternoon snack. Luckily, the taste did not mirror the look. A sophisticated blend of garlic and herbs seemed to be matched in perfect proportion. A zesty cream cheese tang burst through, but mellowed into the overall flavor which wasn’t too potently garlic. I really liked this spread atop a bagel and crackers. It was a shame, by the taste alone, this is a spread I might consider serving to guests as an “unknown” dairy-free spread. However, with its grayish image, I fear it would go largely un-tasted. Admittedly, the appearance of the green chive-blotches somewhat reminiscent of mold was rather unappealing, but I certainly wouldn’t fault them for staying true to the nature of the foods they were dealing with. 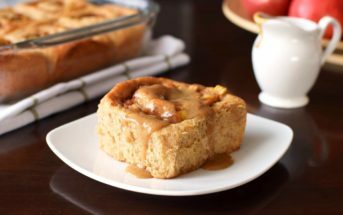 Spread on a slice of toast, I found the overall flavor to be quite mild, something that might be appreciated if sharing this with a significant other, but a little bit disappointing to the chive-lover in me. All the same, it would make a delicious addition to cucumber sandwiches for tea, or a fabulous dip a party. The light onion-y taste is sure to appeal to a wider demographic, and for those like me who prefer it more intense… Well, you can always add extra chives, too! Initially unsure of how to serve this sort of spread, it was only after I settled on crackers that it occurred to me how nicely it might compliment a baked potato, or even a grilled sandwich. No matter, I was still pleasantly surprised to see that this version did not include the day-glow orange color, opting for a more organic shade of tan instead. It certainly smelled like cheddar… But the taste still left me wanting. A strong soy taste hit me before the real flavor could make itself known, and although it does have a certain cheddar-esque quality, I can’t say it was all that impressive. Not bad, but not my first choice either. All in all, I give Creamy Sheese two thumbs up! Each seemed to have its own appeal, and while I have never been a huge cheese consumer, this is a product I wouldn’t hesitate to enjoy on occasion. Hannah’s taste buds were a bit more discerning, but she still expressed appreciation of Creamy Sheese. Certifications: Creamy Sheese is Certified Vegan. 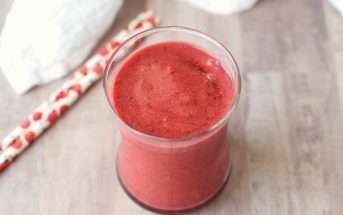 Dietary Notes: By ingredients, Creamy Sheese is dairy-free / non-dairy, egg-free, gluten-free, grain-free, nut-free, peanut-free, vegan / plant-based, and vegetarian. Nonetheless, always read the ingredient statement and check with the company on their manufacturing processes for all varieties if potential allergen cross-contamination is an issue for you. Processes and labeling are subject to change at any time for any company / product. I have stomach issues with “real” cheese. 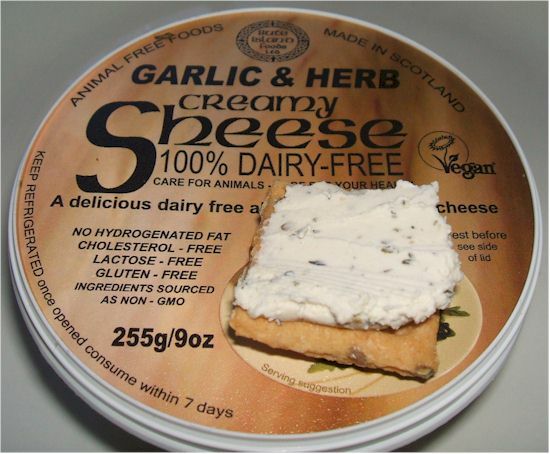 My grocery store – Publix – only carries one non-dairy cheese, “Follow Your Heart” – Yuck!!!! They used to have GoVeggie which was pretty good. How can I find a better cheese substitute since Publix doesn’t carry one? Is it the regular “Follow Your Heart” or Follow Your Heart’s “Vegan Gourmet” line? Since they already carry that brand, you may want to ask for the other Follow Your Heart ones. You can also request that they bring in other brands (be specific) and you can buy some brands online.